Our Montana Fly Fishing Guides | Montana Fishing Co. Here at the Montana Fishing Company we believe that there should be a great mix of work and play. Each of our guides have their own unique skills and experiences. We do the things that make us happy and chose our own path in life. It is truly the way to live and work in Missoula, Montana. 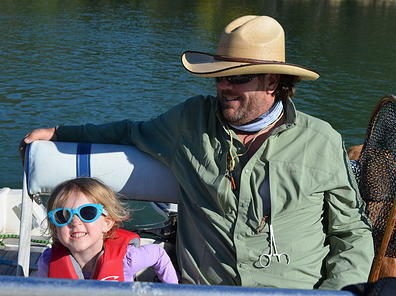 By enabling our guides to be their own bosses gives them the freedom that Montanas crave. 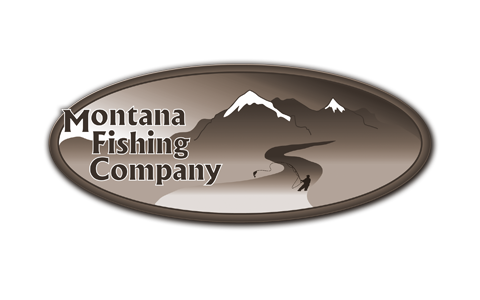 The most important aspect of Montana Fishing Company is our word. Trust, honesty, and respect is what we offer, coupled with memories to last a lifetime. We service over 95% of Montana’s Blue Ribbon trout streams, lakes and high mountain lakes. We offer all the equipment needed to get the job done. We do not charge for flies, leaders, or rod rental. When we take that photo of your catch of a lifetime, we give it to you for free. Contact us today to schedule a trip with the best of Montana fly fishing guides! I always knew that I would be doing something great. I first started fishing in northern California, but cannot remember how old I was. Our family moved to Tennessee and bought a lake house when I was three years old. I was on the water everyday, even in the winter. I was just drawn to it. When I grew older, I joined the Tennessee Air National Guard and flew all over the world as a crew chief on a KC-135. I always brought a rod of some sort to wet a line while off-duty. Later, I attended Middle Tennessee State University where I studied Aerospace. I also took up the sport of rugby and played in both regional and national championships. Eventually, I landed a job as a security checkpoint supervisor with the Transportation Security Administration. I have been a fly fishing guide in western Montana for over 10 years years and a outfitter for 5 years. Bill Denruyter was born an outdoorsman. He grew up in Wisconsin, a self-taught fly fisherman catching panfish and bass in local lakes and streams. On a family vacation to Montana, Bill fell in love with Montana and spent the remainder of his years at home dreaming of moving here. That dream became a reality in 2005 when he moved to the Seeley-Swan Valley. He has been living the dream ever since. Bill spends spring thru fall guiding fellow fly fishermen on the legendary waterways of Montana. In the winter you will find him scoping the Rocky Mountain Front as a guide for prize deer and elk. 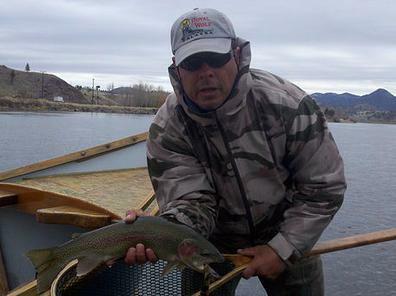 Bill is an experienced fly fishing and hunting guide who enjoys guiding beginners to the unforgettable rush of catching their first rainbow on a fly line, and tracking and harvesting their first deer or elk in the vast expanse of the Rockies. Bill also enjoys the experienced fly fishermen and hunters, sharing the beauty and majesty of Montana’s bountiful rivers, trout-laden streams and plentiful hunting lands. Throughout the year, Bill spends his “off” time perfecting his fly fishing skills, expanding his vast knowledge of Western Montana waterways, shed hunting for that perfect set, scouting hunting areas, and otherwise playing out his dreams in Montana. Fly fishing for 41 years, I have the experience to make your day most enjoyable. You will learn about fly fishing, fish behavior, and local history. Having an extensive guide résumé; 12 years in the sierras, two years jack hole” eastern Idaho” , two years in Alaska, and eight years in Montana, I cater to my clients needs. The Bitterroot rivers is where I spend most of my time fishing and guiding, at least two hundreds day a year on the river. The long season here on the root starts in March and runs into early November with an emphasis on dayflies through the season. 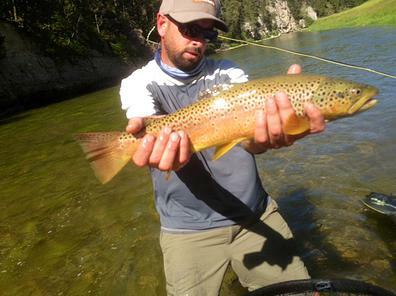 Come enjoy the beauty of Montana Bitterroot River, a truly world class fishery with Emmit as your trustworthy guide. Life depends on liquid fresh water. It is this fact that keeps Zac Sexton on such waters most days, and why he loves to share his passion with others. Sexton hosts the cable TV show, Fish Whispering, produced by Comcast Sportsnet Northwest. Zac has been guiding since age 17, beginning in the Bighorn Mountains of Wyoming on in to the Idaho Panhandle. He has been guiding in Montana for six years, and fishing Montana for 18 years. Other piscatoral projects he is involved with include writing and photographing a book on his journeys fly fishing for native populations of Cutthroat trout. Zac has caught every sub-species of Cutthroat in its native habitat — excepting Paiute cutthroat, as anglers are only allowed to fish outside their native range. He did catch the Paiute, however… During summers in college, Zac surveyed streams for the US Forest Service and learned the intricate connection of trout and streams. Currently Zac makes bamboo fly rods for Tom Morgan of Morgan Rodsmiths designs and makes rods for Sweetgrass Rods, and wraps rods for Freestone Rods He is also studying to become a Federation of Fly Fishers certified casting instructor. Zac has mastered many skills in fly fishing and loves to teach others. His scientific knowledge combines with lively excitement, when he is surrounded by wilderness. Let Zac take you on a journey through mystical Montana waters. My name is Aaron Fox. I am originally from Western New York, where I first realized my unrelenting passion for fishing at a very young age while growing up on Lake Chautauqua and great lake tributaries. I attended Kent State University where I fished my way through to a Bachelor of Science degree in Recreation Management with emphasis in Natural Resources, Parks and Tourism. After college, I moved to Northern California and began my guiding career on the waters throughout the Sierra range. Since that time I have been guiding and fishing for trout and steelhead in Oregon, Alaska and Montana. I fell in love with Montana many years ago and call it home now. I have now been guiding for 15 years and 1,000 plus trips, it is my main passion and I’m pumped for the next 15! I pride myself in providing the highest level of knowledge and service on and off the water and always put the needs and safety of my guests first. It’s all about learning, patience and having fun. Matt Benson grew up in Missoula Montana. From a young age, he was fascinated with the outdoors. Camping, hunting, and fishing were Benson family pastimes. At age 18, he embarked on an 11-year ski- bumming career living in Sun Valley, Idaho, and later, Lake Tahoe, California. 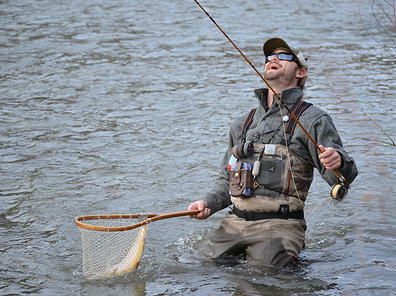 Along with skiing deep powder whenever possible, Matt also developed a great love for fly fishing. Fly fishing has always been a vehicle for him, a way to travel, see and explore new places and cultures. 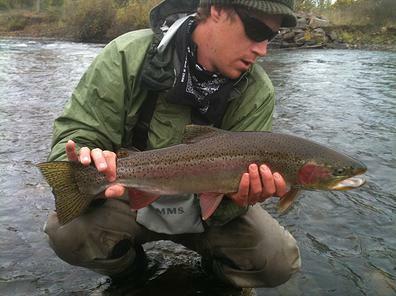 Matt has guided in Montana, Alaska, and Oregon for trout, salmon, and steelhead. He calls Missoula, Montana his home, and is committed to guiding the rivers of Western Montana. 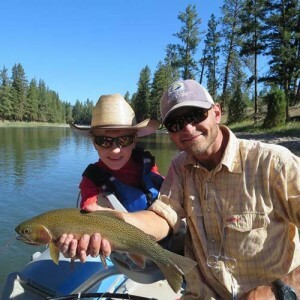 While fishing with Matt, you can expect to have a great time on the water, laughing, learning, and soaking in the beauty of Montana! Matt strives to ensure your day is one to remember.